As a competitive runner, I’m always on the lookout for new wearables that provide insight to my training. 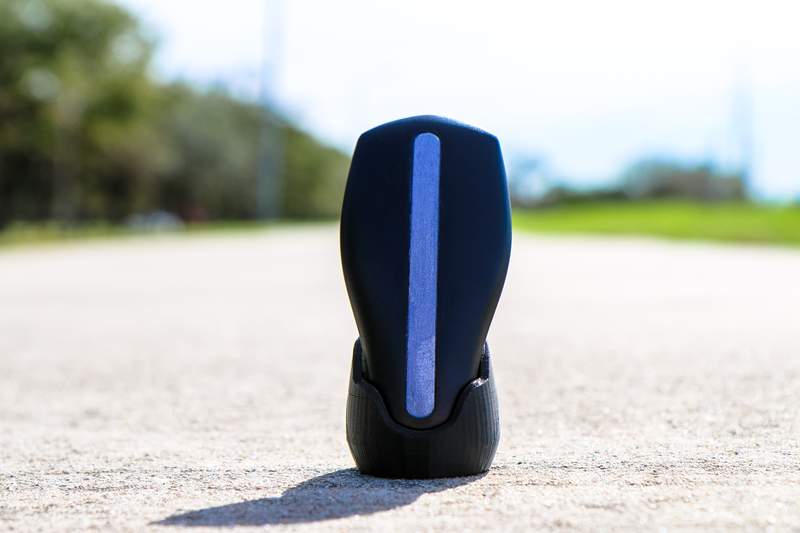 BSX Athletics, a Houston-based company that provides cloud-based training plans fits the bill with its Kickstarter project for the Insight: A wearable device that measures lactic acid in your muscles along with heart rate, pace and cadence when running or biking. Unlike many other health wearables, the Insight doesn’t go on a wrist. Instead, you wear it near your calf in a compression sock. The Insight then sends data wirelessly to a sports watch using the ANT+ protocol. Currently, ANT+ doesn’t have a standard way to send lactic acid information, so the team at BSX has created a bit of a hack. They are working on getting the standard updated, however. I typically use a heart rate monitor to manage my exertion levels when running, and the data from that helps me create different training zones. It’s a great indicator of how hard or easy I’m working out during a run, but it doesn’t directly measure my lactic threshold the way the Insight does. At time of writing, the BSX Insight has raised $21,208 of its $50,000 funding goal and has 30 days to go. Early bird deals for a BSX Insight plus six months of BSX training access for $179 are still available; the MSRP will be $249 for that package. Great idea…but you gotta wear it inside a compression sock!? That might work for the runners and triathletes but not for any self-respecting road cyclist :) In fact, the governing body for road cycling here in Ireland has just recently banned racing cyclists from wearing compression socks during competitive events! Since I’m not a runner – can you tell me how actionable this is? Is this something that you’d be monitoring while running or is this purely something you’d look at after a run? From what I understand on the Kickstarter page , it pairs with your watch to give you real-time feedback on your training paces. Seems pretty simple if you ask me. I can relate with ‘speed up’ reminders! BSX Insight is equipped with both ANT+ and BLE communication stacks. This allows it to communicate with any ANT or low energy bluetooth enabled device including sports watches and even phones (for example new Samsung Galaxy and Note phones have built in ANT antennas). Most watches on the market today use ANT+ (it has become the defacto standard for wireless transmission of sports data) including Garmin, Timex, Suunto, etc. I’d recommend checking with the watch manufacturer to make sure they use ANT and if they do, it will pair. As for your use case, you’d likely use the device to determine your training zones, then use those to build your workout.